When you get home every day from work the last thing you want to be doing is washing your face… and honestly, I couldn’t agree more, especially, when you have a comfortable couch and Monday’s episode of the Bachelor recorded (#TeamBrit or #TeamBecca). The unfortunate part of it is, for most of us to have perfect skin, we have to cleanse. So, I needed something that is going to do the job and not take up my precious time cuddling with my pup. There are some women that have flawless skin, don’t have to wear makeup and wash their face only once a week (if you see my friend Deanna’s perfect skin it will make you sick…literally), but unfortunately I don’t have that gift. My best friend is MAC Studio Fix Foundation topping it off with the matching Studio Fix Powder because my pores are clogged and they haven’t been able to breathe since I was about 13 years young. 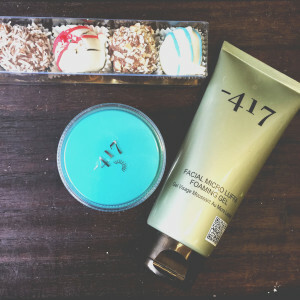 One of my Georgia New Year’s resolutions of 2015 was to take better care of my skin, not to mention everyone who reads my awesome blog knows I love -417 products. 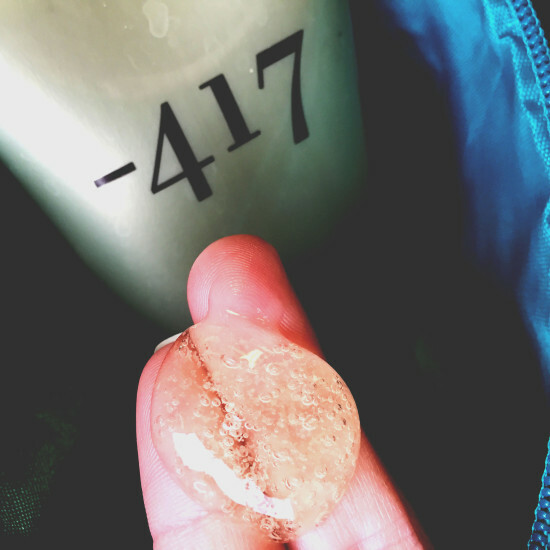 Once I read reviews about Facial Micro Luffa Foaming Gel I knew it was meant to be. Using this foaming gel, it literally takes three minutes out of my evening… pretty specific huh? Yeah, I timed it, and the sensation of my face breathing feels like I had won the lottery. What’s great about this gel is it’s for all skin types and get ready…. here is what you have to do: On wet skin, apply a thin layer in circle motions while foaming thoroughly the forehead, nose and chin. Rinse well. — Real difficult right? Since I starting this routine Jan 1st I have seen results already, my skin has cleared up, for the most part, and I am starting to forget what a blackhead ever was. I always use my -417 moisturizer to follow which prevents my skin from drying up and that ends off my nightly skin care routine. 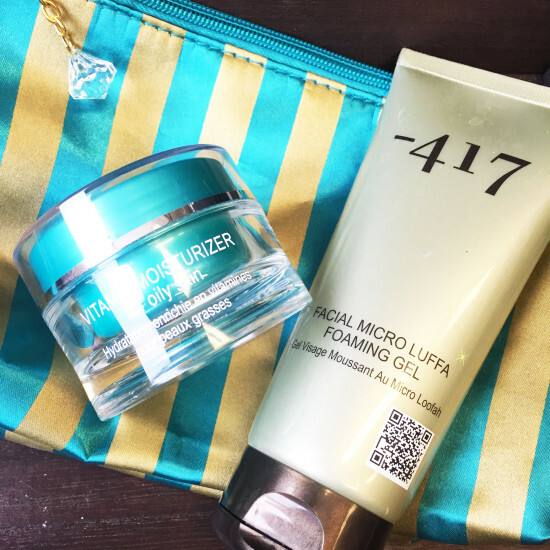 And you now have a little insight to my two step key to glowing skin aka my little bag of skin care secrets. i use this products for a long time now. it is really good and always works. its nice you are telling more people about this because i found you on ig. Hi! 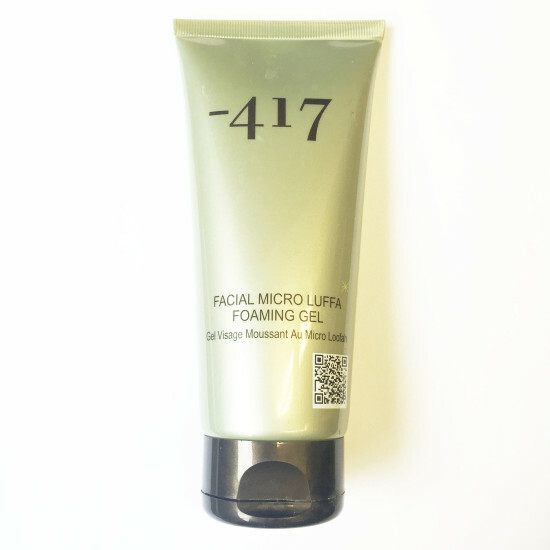 Where do you purchase your minus 417 foaming gel? thanks!